May 2018 at Wembley, here's every FA Cup Final. Which team has won the FA Cup the most times? from 1872 to 2018 are listed here. Which teams have appeared in the most FA Cup Finals since 1872? Which team has lost all four Finals they've been involved in? Find out here. outbreak of World War One. 1871 to the formation of the Football League. 1919-20 to 1938-39.Modern FA Cup Rounds started in 1925-26. Trevor Brooking's winner for West Ham against Arsenal in 1980. 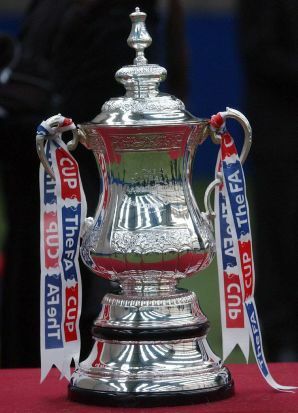 On July 20, 1871, in the offices of The Sportsman newspaper, C. W. Alcock proposed that "a Challenge Cup should be established in connection with the Association", giving birth to the FA Cup - the first competition in the history of World football. Four first-round matches were the first FA Cup games ever played – on November 11, 1871. The first Cup goal was scored by Clapham Rovers player Jarvis Kenrick in a 3-0 win over Upton Park (Kenrick scoring twice in the process). The following year, on March 16, 1872, Wanderers became the first winners of the FA Cup, beating Royal Engineers 1-0 at The Oval. Fifteen clubs had entered, only twelve actually played, and there were thirteen games in total. The winning goal was scored by Morton Peto Betts, who played under the pseudonym of 'A.H. Chequer'. In 1873, Wanderers retained the title after receiving a bye to the final where they beat Oxford University to retain the Cup. The rules were changed for the following season, to help inspire teams to try and get to the final, instead of knowing who their opponents would be before they reached it. In 1876, Thomas Hughes was the first to score more than once in the final, in a replay match in which Wanderers defeated Old Etonians 3-0. In the same final, Alexander Bonsor from the losing side became the first to score in two consecutive finals (both of which his team lost). Lord Kinnaird won the Cup for a still record fifth time in 1882, three times with Wanderers and twice with the Old Etonians. Earlier in 1877, he also scored the first own goal in the final with Wanderers defeating Oxford University 2-1. But in 1883 Blackburn Olympic broke the "old order of things" to defeat Old Etonians in the final to become the first professional club to win the trophy. The win marked a turning point in the culture of the game in England. Jimmy Brown of Blackburn Rovers became the first to score in three consecutive finals from 1884 to 1886 (winning all three). Blackburn Rovers also became the second club to win three consecutive FA Cups and remain the only club still in existence to win "three in a row" to this day, as Wanderers, who achieved the feat 6 years earlier, were disbanded in 1883. The following year, Aston Villa legend Archie Hunter became the first player to score in every round of the FA Cup in Villa's victorious 1887 campaign (beginning from the second round, as Villa had a bye in the first). This feat was bettered in 1901 by Sandy Brown of Tottenham Hotspur, who scored in all rounds from the first. Spurs, then members of the Southern League, became the only non-Football League club to win the trophy. In 1888, West Bromwich Albion were the first club to win the FA Cup with a team made up of English born players. Only 3 other teams have since achieved the same feat - 1958 Bolton Wanderers, 1969 Manchester City, 1975 West Ham United. The modern cup was beginning to be established by the 1888–89 season, when qualifying rounds were introduced, with clubs competing on regional basis until only one was left for the Fourth Qualifying Round, and in the same season, the 'magic of the cup' began when Warwick County became the first non-league side to beat a First Division club on October 6, 1888, winning 2-1 away at Stoke. The first and only game to be played on Christmas Day took place, Linfield Athletic beating Cliftonville 7-0. In 1889, Preston North End became the first club to achieve the double of winning the FA Cup (beating Wolverhampton Wanderers 3-0) and the Football League Championship in the same season. This double was even more extraordinary in that the league was won without a single defeat. Equally impressive was that the cup was won without conceding a single goal. Such was the team's dominance that it was nicknamed "The Invincibles". William Townley scored the first hat trick in the history of the FA Cup final, in the 1890 match between Blackburn Rovers and Sheffield Wednesday (6-1). The record for most FA Cup wins by a player used to be five, jointly held by Charles Wollaston (Wanderers), Arthur Kinnaird (Wanderers & Old Etonians) and Jimmy Forrest (Blackburn Rovers). Arsenal & Chelsea's Ashley Cole won his seventh winners medal in 2012. Aston Villa's Bob Chatt scored the winner in the 1895 FA Cup Final after just 30 seconds and in 1897 the record score in an FA Cup tie was set when Preston North End defeated Hyde 26–0. by clubs for each of the 131 FA Cup Competitions. Also included is a Table of Merit. Full details of the FA Cup 2009-10 from the first Round proper to the FA Cup Final at Wembley. Full details of the FA Cup 2010-11 from the Extra Preliminary Round to the FA Cup Final at Wembley. individual table and table by nationalities. Full details of the FA Cup 2011-12 from the first Round proper to the FA Cup Final at Wembley. Full details of the FA Cup 2012-13 from the first Round proper to the FA Cup Final at Wembley. Full details of the FA Cup 2013-14 from the Extra Preliminary Round to the FA Cup Final at Wembley. Full details of the FA Cup 2015-16 from the Extra Preliminary Round to the FA Cup Final at Wembley. Full details of the FA Cup 2014-15 from the Extra Preliminary Round to the FA Cup Final at Wembley. Full details of the FA Cup 2017-18 from the Extra Preliminary Round to the FA Cup Final at Wembley. Full details of the FA Cup 2016-17 from the Extra Preliminary Round to the FA Cup Final at Wembley.